ARTICLE: “Seven Days in The Valle” Chronicles Mexico’s HOTTEST Culinary Movement – Escape to Baja California! 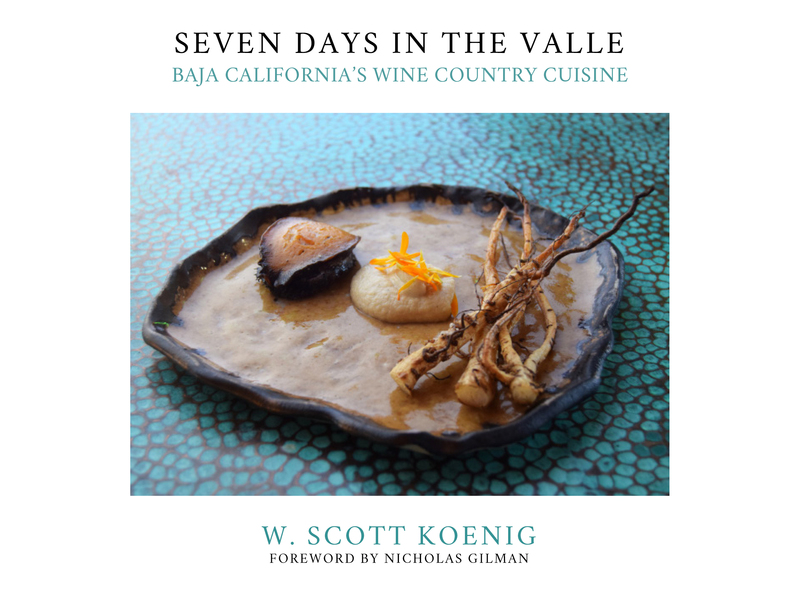 SAN DIEGO, CA — Today Koenig Creative LLC announced the release of Seven Days in The Valle: Baja California’s Wine Country Cuisine by W. Scott Koenig. Koenig is known for his blog and alter ego, A Gringo in Mexico, where he reports on food and culture in the state of Baja California — just across the US-Mexican border. In Seven Days in The Valle, he focuses his camera lens and writing on the cuisine of the Valle de Guadalupe, Mexico’s main wine-producing region. ORDER AUTHOR-SIGNED COPY OF SEVEN DAYS IN THE VALLE HERE! Through photos, interviews and narrative, Seven Days in The Valle takes readers inside the kitchens and minds of seven chefs who helped put the region on the map. They share their dishes and stories as they enthuse about their love for the Valle. They also express concern about its future as businesses and locals struggle with drought, fire and a lack of resources. As the area receives more visitors, some also fear it will lose its charm. “We don’t want to be the next Napa Valley, like Disneyland,” chef Miguel Angel Guerrero cautions in the book. Mexico City based writer and restaurant critic Nicholas Gilman of Good Food Mexico City provides the Foreword. A percentage of the proceeds from the book will benefit the El Porvenir Volunteer Fire Department, located in the Valle de Guadalupe. Seven Days in The Valle is now on sale at Amazon.com and BarnesAndNoble.com in eBook and softcover formats. Like and follow Facebook pages Seven Days in The Valle and A Gringo in Mexico for more information on upcoming launch events, book signings, promotions and news.